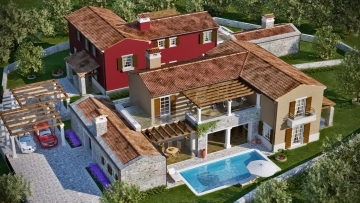 Luxurious villa with pool and summer kitchen, near Sveti Lovrec. The house has a cellar which serves as a wellness area with sauna. On the ground floor are living areas with kitchen and dining area, technical room, utility room, two bedrooms with private bathroom and a guest toilet. 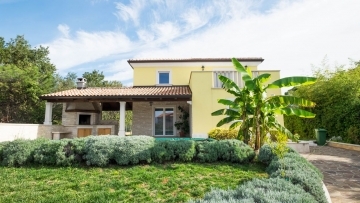 On the first floor are three further bedrooms with private bathroom.